Fall Fundraiser SignUpGenius is now available. Help is needed beginning with the kickoff on September 17. There are still lots of openings for Friendly Presence Fall Blast, where extra parents are on hand and in the hallways during the first two weeks to help our kiddos find their way. It’s a lot of fun to see these kiddos in their school environment, and really encouraging to experience how happy they are to be back to school. So much smiling this past week! Register your 6th or 7th grader online, for the party Friday, September 14, from 7-9 pm, at MMW! There, you will also sign an online permission slip, and you may choose to pay online through PayPal, or with cash or check when students pick up their ticket/wristbands at school, beginning Wednesday, September 12. Tickets are $7 when purchased in advance, and they get two raffle tickets, or, buy and register at the door for $10 and get one raffle ticket. While you’re thinking about it, we need lots of parent volunteers to help ensure a fun night and to help with ticket sales during the week. Click below to register your student(s), and volunteer if you can! Fall Fundraiser Kickoff is Monday, September 17. This is an important event during which we partner with Step It Up Kids. With this program, parents help students to simply log on to Step It Up and send emails to friends and relatives that may want to help. The Step It Up platform will take it from there. No order form to fill out, no product to sell or deliver, and no money to collect. The highlight of the program is an epic Step it Up event featuring seven inflatables, Kona Ice truck, prizes and more. The event runs from September 17 through the party date of Wednesday, October 17. There are a few dates where we need parent volunteers. A SignUpGenius link is coming soon! Wednesday, Oct 17 – Several volunteers are needed to assist the staff with activities on the soccer field outside MMW. This is a really fun day! If you have questions regarding this event, please contact Cindy Scanlon at 612-387-2396. Box Tops for Education – Please remember to CLIP those Box Tops. There is a Collection Box in the Main Office at MMW. Simply bag them and mark with your students Advisory Teacher. There are collection events throughout the year and Advisory Classes can compete for a classroom treat. General Volunteering/Committee Chairing – Come to the September 26 Board meeting or email pto.mmw@gmail.com and we will put you to work! Friendly Presence Volunteering – Signup available for the whole year. If you’re free but slots are full, just come on over and check in at the office. MySchoolAnywhere (MSA) is our electronic directory of MMW families, sponsored by the PTO and available to all MMW families. Please login to verify or correct your contact information. If your student is not already in the system, simply follow the instructions to enter your data, and after your student’s enrollment is validated, you will have access. Use the website or the free app. All PTO communications and volunteer signups will be distributed through MSA, and it’s really helpful if you want to stay connected. We don’t get your contact information through the school, so it’s up to YOU to make our directory complete! MMW Official Facebook page is the official Minnetonka Middle School West Facebook page – please like and follow! This is where official school and PTO information will be posted. 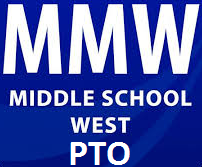 NOTE: There is also a MME & MMW Middle School Parents Facebook Group; this is a great resource for parent discussion, but it is not monitored or endorsed by MMW or MMW PTO. PTO Board Meetings are scheduled monthly on the fourth Wednesdays, 9:30-11:00 am at MMW, and are open for parents to attend. September 26 is the next meeting. What We Wish We Had Known – an open letter from seasoned MMW parents with some tips for newer families.